The aging process can have negative effects on your bones, as well as your joints. 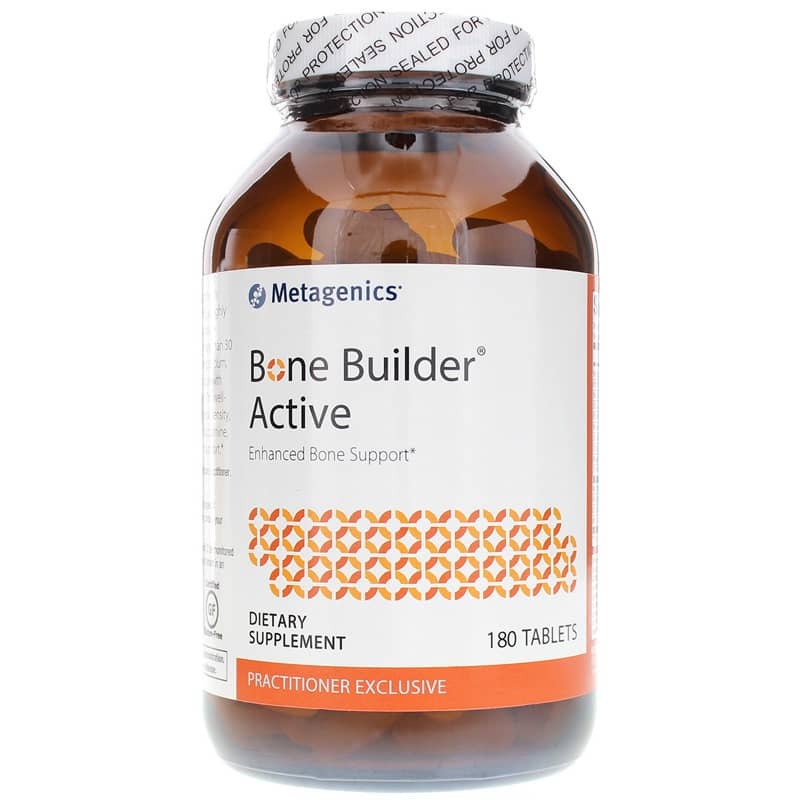 Rather than let the aging process slow you down and interrupt your daily life, why not give Bone Builder Active from Metagenics a try instead? 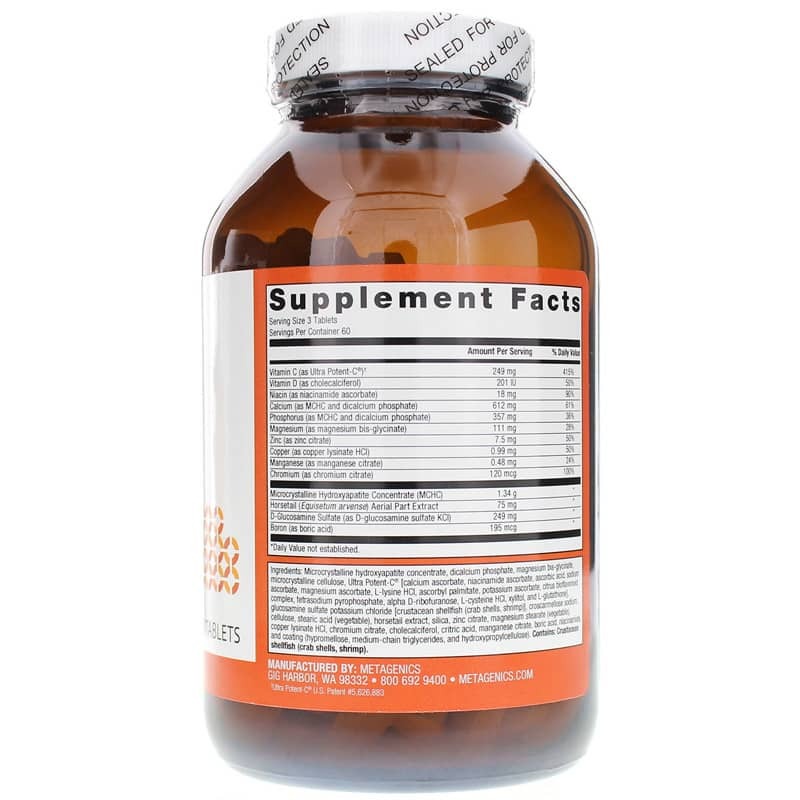 Other key ingredients in Bone Builder Active from Metagenics include vitamin D, glucosamine, vitamin C, and other minerals, all of which provides optimal support for improved bone and joint health. Stay healthy and active at any age. 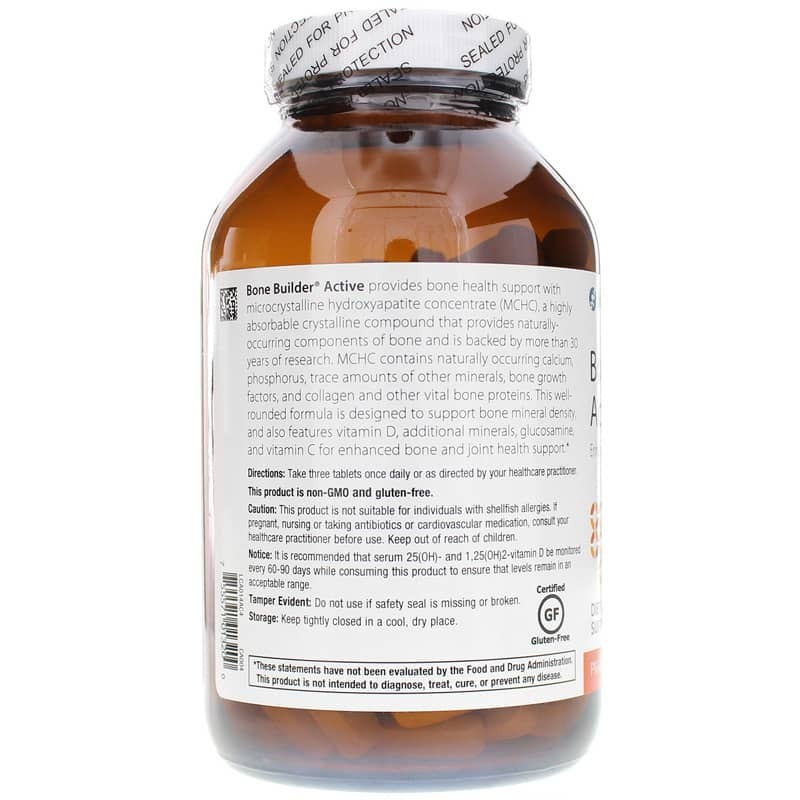 Choose Bone Builder Active from Metagenics today and give your body what it needs to maintain strong bones and joints. Order yours now and see the difference it can make in your overall health. Ingredients: Microcrystalline hydroxyapatite concentrate, dicalcium phosphate, magnesium bis-glycinate, stearic acid (vegetable), Ultra Potent-C [calcium ascorbate, niacinamide ascorbate, ascorbic acid, sodium ascorbate, magnesium ascorbate, L-lysine HCl, ascorbyl palmitate, citrus bioflavonoid complex, potassium ascorbate, tetrasodium pyrophosphate, alpha D-ribofuranose, L-cysteine HCl, xylitol, and L-glutathione], glucosamine sulfate potassium chloride [crustacean shellfish (crab shells, shrimp)], croscarmellose sodium, microcrystalline cellulose, cellulose, horsetail extract, silica, zinc citrate, magnesium stearate (vegetable), copper lysinate HCl, chromium nicotinate glycinate, boron citrate, cholecalciferol, manganese citrate, niacinamide, and coating (hypromellose, medium chain triglycerides, and hydroxypropylcellulose). Adults: Take three tablets once daily or as directed by your healthcare practitioner. This product is not suitable for individuals with shellfish allergies. If you are pregnant or nursing, consult with a healthcare professional before use. Keep out of the reach of children.